I had bought the same pair of shoes in black colour way at local rebel sport for 120 NZD(normally 199NZD). I had seen this colour, too. But I chose black one at that time. It was a little bit snug in the beginning. After a few weeks breaking in, they were so comfy. Then I was looking for another pair with silver colour way. But they were out of stock since they were 2017 products. I tried the replacement call solar boost. I did not like the upper as I have wide feet. 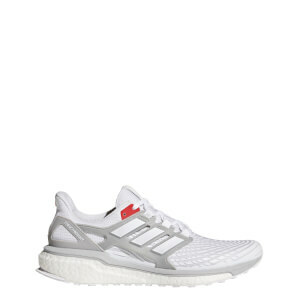 The energy boost upper is more stretch and allows my feet moving around. I tried to find the shoes online see whether I have any luck. Thanks to this website I bought the shoes under 100NZD with frree shipping.